Water Spinach or more popularly known as “Kangkong” among Filipinos are always seen in traditional dishes. This plant is commonly found in the country and is accessible, it grows in moist areas. The plant contains so much fiber and minerals like protein and carbohydrate, large amounts of Vitamin C and E.
This inexpensive but delicious vegetable can be cooked in variety of ways. 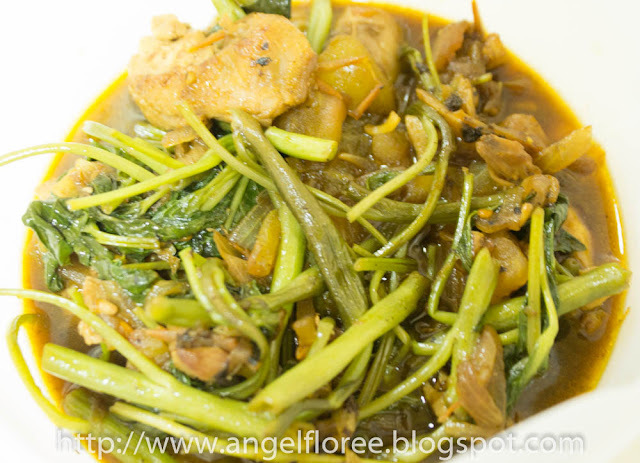 In this blog post, I will feature a simple but great tasting recipe my friend, Jelly, just cooked recently. You guys can give it a try. 1. Put cooking oil in a pan with medium heat then place onion, garlic, ginger and tomatoes for 2-3 minutes. 2. Put the chicken and wait for another 5 minutes. 3. 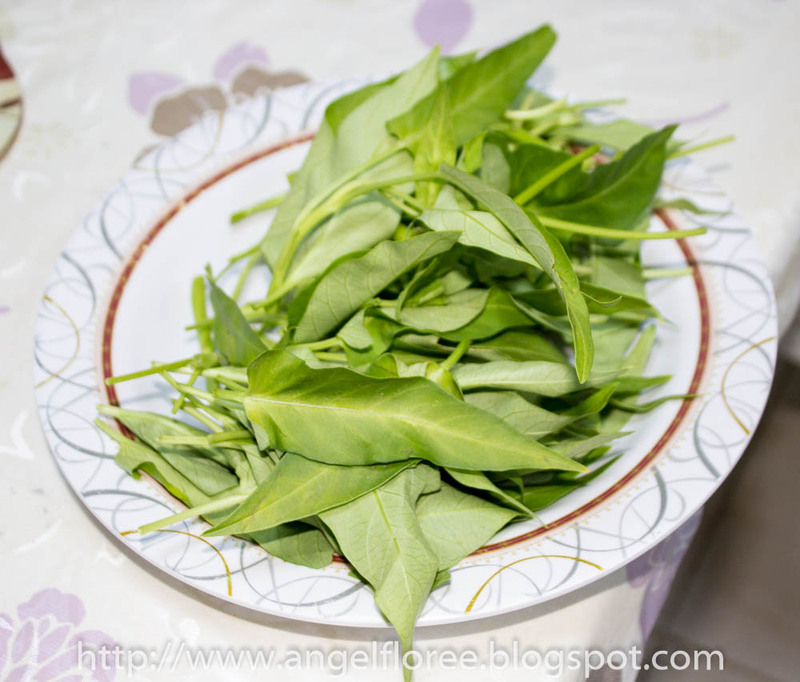 Sprinkle the Water Spinach (Kangkong) then pour water. 4. Add the pepper, soy sauce, oyster sauce and ginisa mix. 5. Simmer for 3 minutes.